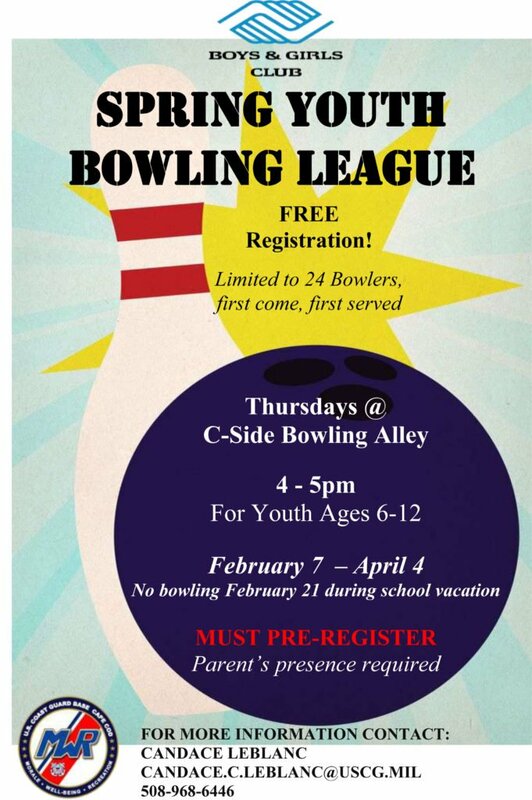 Join the Youth Center for Bowling at the C-Side on Thursdays at 4pm starting February 7 and ending April 4. Note: There will not be bowling during February School Vacation on February 21. Please register your children with Candy LeBlanc since space is limited.